Many people start the new year by making lofty goals or resolutions and by predicting what lies ahead. I have come across countless blogs about design trends for 2017. What’s good? What’s bad? What’s in? What’s out? These lists can sometimes be helpful, but they got me thinking about a few trends that I would like to pack up and move out of 2017. Excessively long scrolling pages. They just keep scrolling and scrolling, forcing the user to work really hard to find the information they are looking for. In our world full of people with short attention spans, why not utilize a more organized approach? Flat design. While it’s good to keep the user/viewer focused on the important elements, it doesn’t hurt to have a little dimension. 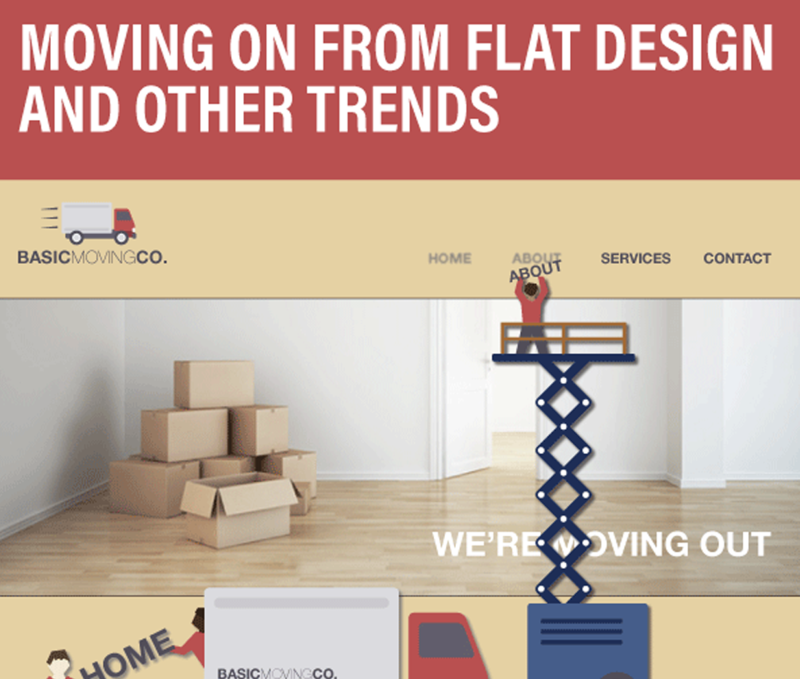 Nowadays, adding some dimension will probably help stand out from all the flat designs. At least Google is addressing this with their Material Design approach. Scroll-jacking. What is this, you ask? Scroll-jacking basically means we replace native scrolling (what we’re used to) with targeted scrolling. So, when the user initiates a scroll, scroll-jacking takes them to an exact vertical point on the screen. This can really throw off your rhythm when looking at sites. Mega-menus. Is it really necessary to have such an information-crowded site? Native advertising. Crossing the line between ad content and editorial content can be dangerous. While I know this one really isn’t going away anytime soon, it begs the question of what can you trust anymore?